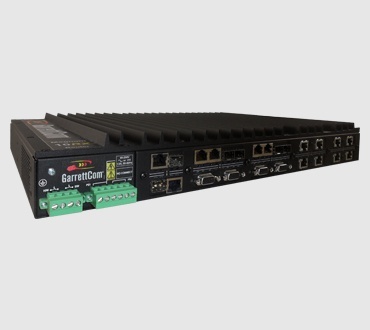 GarrettCom Magnum 5RX Fixed Configuration Security Router offers a cost-efficient, two-in-one solution for industrial energy and utility applications. The Magnum 5RX Security Router is a mid-level, industrial-grade security router serving the power generation, transmission and distribution markets by delivering an efficient edge-of-network solution. 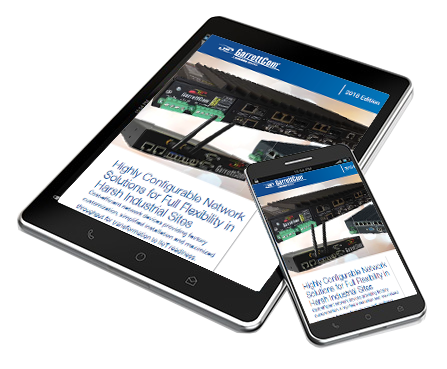 Offering advanced routing and security capabilities in a single platform, the new router provides a natural migration path for customers planning a move to next-generation, high performance Gigabit Ethernet and Transmission Control Protocol/Internet Protocol (TCP/IP) technology. Serial and Ethernet Interfaces - 2 RS232/RS485 port, software selectable, and 2 Ethernet ports -10/100 BaseTX RJ45 or 100FXSFP/SFF multi/single-mode. Multiprotocol Support - Async and SCADA to TCP/IP; Ethernet, TCP/IPIP routingNetwork resiliencywith RSTP Serial multipoint and Multi-master topologies. Cyber Security Protection - Cyber Security protection: Serial SSL; Secure HTTP; IPSec encrypted VPNs; Ethernet port security; TCP/IP firewall; Serial port SSL; Max serial port VLANs. Hardened for Harsh Environments - 1613 / IEC 61850-3.